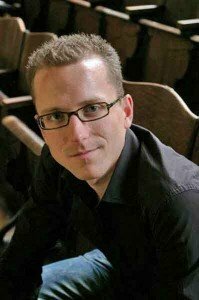 Christian Lane, assistant organist and choirmaster at Harvard University (see a laudatory BMInt review here) and coordinator of last July’s Pipe Organ Encounters (covered by BMInt here and here) has won first prize at the 2011 Canadian International Organ Competition in Montreal. A triennial competition, and the only international organ competition in the Americas this year, the CIOC is dedicated to increasing public awareness and interest in organ music. It has also developed an annual program of musical and educational activities in collaboration with organizations of the organ world to emphasize the importance of pipe organs for a wide and diverse audience. The competition gathers young organists from all over the world. In the final round’s gala concert there were: first prize winner, Christian Lane, an American; second prize winner Jens Korndörfer, a German, and Jean-Willy Kunz, a Frenchman, winner of the audience prize; and the other finalists included a Swiss and a Russian. This international flavor attracted a 1500-strong audience to the Notre-Dame Basilica in Montreal, to hear music by, among others, Liszt, Widor, Purcell, Handel, and Scarlatti, as well as a Procession by Jean François La Porte and excerpts from the Art of Fugue, played by the saxophone quartet Quatuor Quasar. When asked what plans he has for the organ in Boston, he says he dreams of ways of making Boston “more of the ‘organ town’ it has the potential to be.” And what way is he dreaming of now, he replied, “The establishment of a major biennial organ festival.” Knowing the city’s wealth of magnificent organs, we can only say—Christian, go for it! Tamar Hestrin-Grader, a harpsichordist, received her A.B. in Music from Harvard.